Remove mold, mildew and tree sap from your driveway and sidewalk with our concrete washing service. 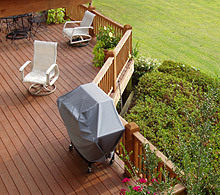 Improve the condition of your deck with our deck cleaning service. Get a Free Deck Cleaning Estimate today. 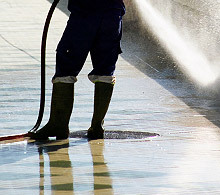 Power washing houses is one of the best ways to increase the value of your home. We now offer expert pressure washing Atlanta, Lawrenceville, Suwanee, Doraville, Snellville, Tucker, Alpharetta, Duluth, Buford, and surrounding areas. Let Atlanta Pressure and Steam help make powerwashing affordable and fit into your budget. Call today for a FREE Pressure Washing Prices (770) 884-4301. If you are looking for quality service you have come to the right place.We understand how important it is to ensure proper care of your residential or commercial investment. Since 2000 we have been devoted to providing quality service by thorough communication, showing up on time, using only the safest products,honoring and guaranteeing our work. We also follow a 7 step process to ensure the quality you deserve. Not to be combined with any other offer. Must mention coupon. 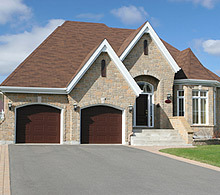 We are fully licensed and insured and you are guaranteed a good job at a fair price.